A tale of magic, romance and fangs.New York City is under attack.Dracula is suicidal in a world where evil vampires are in the early stages of taking over. The Master has lived too long and can’t find a reason to face another day. Nasty vampires are feeding on vulnerable mortals and causing chaos. 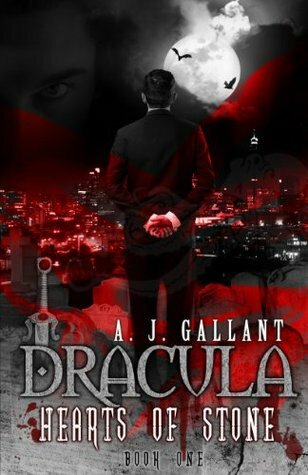 Years ago he trained valiant sheriffs and expects them to defend the humansA tale of magic, romance and fangs.New York City is under attack.Dracula is suicidal in a world where evil vampires are in the early stages of taking over. The Master has lived too long and can’t find a reason to face another day. Nasty vampires are feeding on vulnerable mortals and causing chaos. Years ago he trained valiant sheriffs and expects them to defend the humans but they are being overrun. Piers Anthony, the author, is now a vampire. He spends his days attempting to get the Master to snap out of it and to defend the humans, without losing his head.A 12-year-old girl is a rare hybrid, half human and half vampire; she was conceived the normal way, with her mother a mortal and her father a vampire. Jenny is slowly discovering that she may be a blood wizard. She’s already an accomplished vampire killer and can cast spells, but an underground figure has noticed the girl. Some believe that she might be the one of legend that tips the scale toward good.Sheriff Alexander and his vampire German shepherd stand and fight for justice.Will the red sheriffs be overrun? Will Michael finally get the courage to ask out the sheriff? Think you have things [email protected] Try going through life that never ends as a depressed Vampire. A fun read with humor a surprises.Battles to be fought and just coping with how to stay alive.